If you are looking to eat out along the Knockmealdown Mountain range you may well be very surprised at how spoiled for choice you will be. See below for some choices. 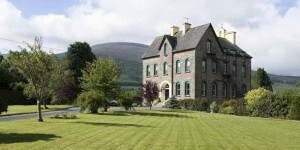 The Knockmealdown region’s gourmet restaurant is run by Dermot and Christine Gannon. It is located at The Old Convent, just past the hospital on the Lismore/Cappoquin road on the right hand side. Opening hours vary depending on the season, so check the website for details. Glasha Farmhouse is famous for its breakfasts but also boasts a wonderful dinner menu. It is a fully accredited five-star farmhouse accommodation set in the picturesque, unspoilt backdrop of the Nire Valley, between Ballymacarbry and Newcastle, on the Tipperary/Waterford border. Renowned for friendly service in a stunning setting. Now called the Panda Chinese, this takeaway Chinese restaurant is located on Clogheen’s main street, the restaurant, which is open 7 days a week, offers a full sit down service as well as a take-away menu. The premises is open for lunch from 12pm to 2.30pm on Monday to Saturday and 12pm to 4pm on Sunday. The dinner menu starts from 4.30pm to midnight on Monday to Saturday and 4pm to 11.30pmon Sunday. Phone – 052 7465909 or Mobile – 087 703 4828. 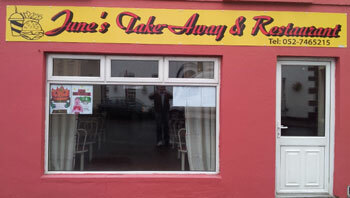 Take Away & Restaurant located on Lower Main St., Clogheen. Open 7 days a week from lunchtime to late evening. Call 052 7465215. Parson’s Green Pet Farm & Caravan Park, Coffee Shop & Fast Food Restaurant, Clogheen.